Smyrna Police have made an arrest in a weekend fatal shooting. It happened on St. Francis Street Saturday morning just before 1:30, after what police say was an argument between the suspect and victim. S-P-D reports Reggie Bowling, age 53, shot and killed Keith Jackson. 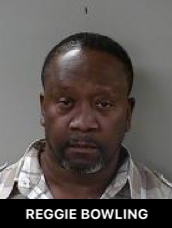 Bowling was arrested and is in the Rutherford County Adult Detention Center on a 500-thousand dollar bond, facing first degree murder charges.